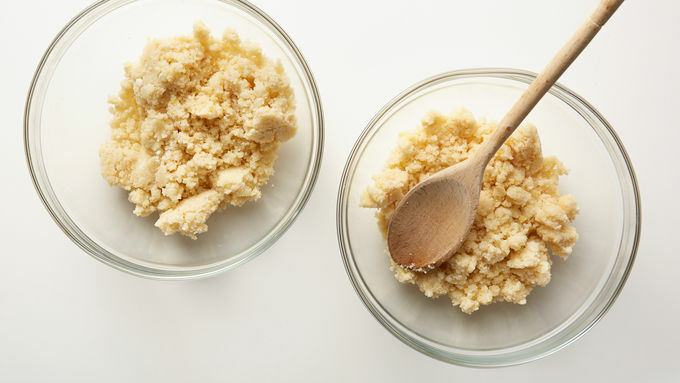 In medium bowl, mix cookie mix, softened butter and egg with spoon until soft dough forms. Divide dough in half; place one half in another medium bowl. To one dough, stir in 1/4 cup of the candies and the sprinkles until blended. 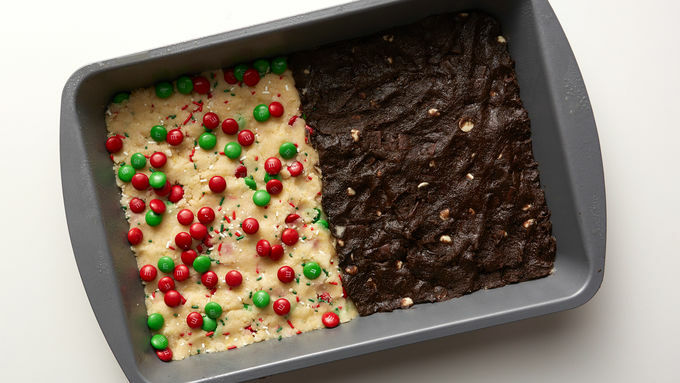 Press dough into half of the pan; sprinkle remaining candies on top of dough. In small bowl, mix cocoa and water until well blended. Stir cocoa mixture into remaining dough until blended. Stir in chocolate chunks and 2 tablespoons of the white vanilla baking chips. 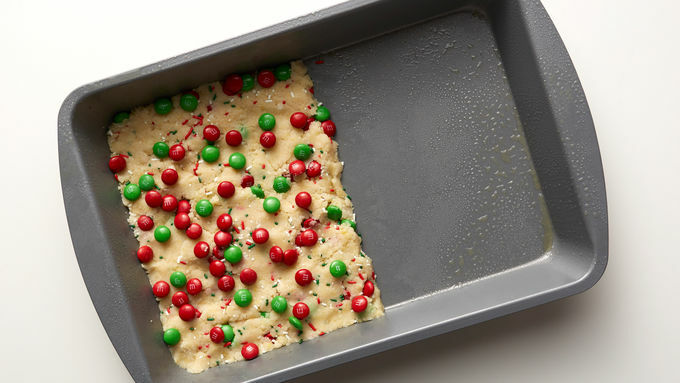 Spread into remaining half of pan. In small microwavable bowl, microwave remaining 2 tablespoons white vanilla baking chips uncovered on High 30 to 45 seconds or until chips can be stirred smooth. Spoon melted chips into small resealable food-storage plastic bag; partially seal bag. Cut off tiny corner of bag. Squeeze bag to pipe over top of chocolate bar. Cool completely, about 1 hour. Cut into 6 rows by 4 rows. Store covered in airtight container. We tested with Hershey's™ Special Dark™ cocoa, but unsweetened natural baking cocoa will also work. 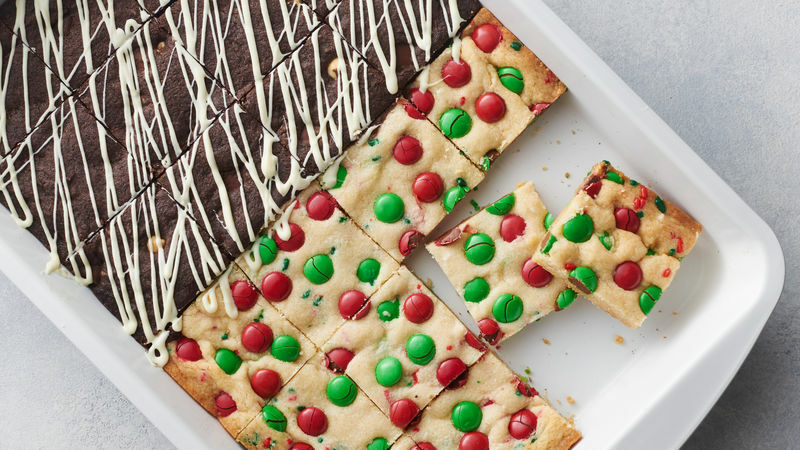 The secret for cutting bars easily is to line the pan with heavy-duty or nonstick foil. When it is time to cut the bars, just lift baked bar with foil out of pan, and cut. This also makes cleanup extra easy.